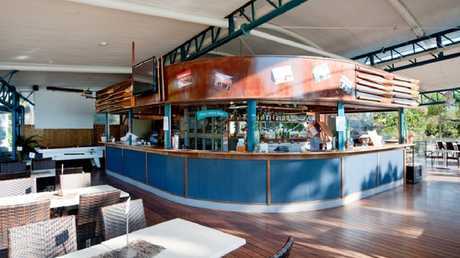 Cape Gloucester Beach Resort, one of the Whitsundays best kept holiday getaway secrets, is for sale. A WHITSUNDAY resort and secluded beach wedding venue that also hosts an annual music festival is looking for a new suitor. 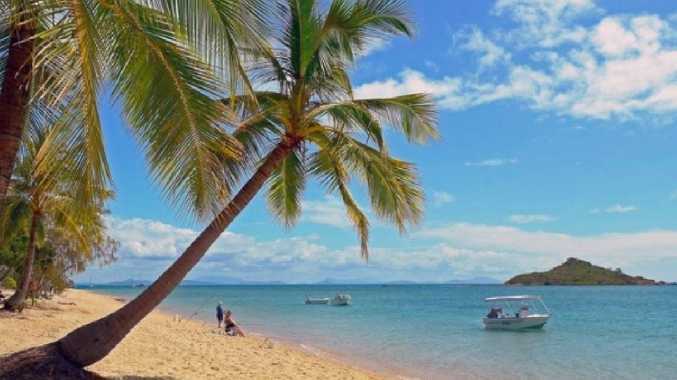 Cape Gloucester Beach Resort is being offered for sale as a freehold going concern with future development upside at an asking price of $5.6 million. "Still relatively unknown, this isolated piece of paradise is easily accessible by car, yacht, seaplane or helicopter," the resort's website states. Cape Gloucester Beach Resort boasts self-contained cabins with island views. The low-key beachfront destination 59km north of Airlie Beach spans more than 13ha and boasts 800m of absolute ocean frontage with island views. 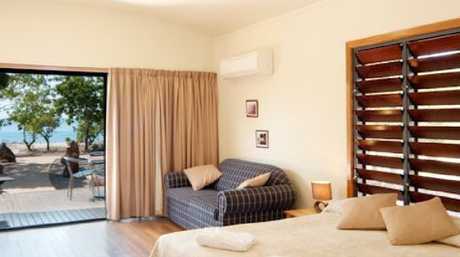 It was established in 1995 as an environmentally sustainable resort and comprises a licensed bar/restaurant, pool and self-contained cabins as well as offering 20 registered moorings. "It's a bit like having an island getaway but on the mainland," said Power Jeffrey & Co's Andy Nason, who is joint selling agent with Coast Queensland Property Sales' Kim Griffiths. 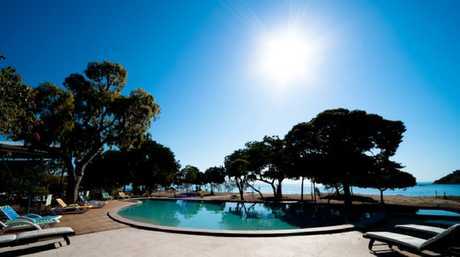 The swimming pool at the low-key Cape Gloucester Beach Resort. The resort is being offered for sale via private treaty with a development approval in place for 55 homes over the balance of the vacant land. Mr Nason said the resort had been successfully operated as a holiday and function venue for a number of years. "The property presents a rare opportunity to acquire an absolute beachfront site in the Whitsundays with future development upside and an underlying income stream," he said. 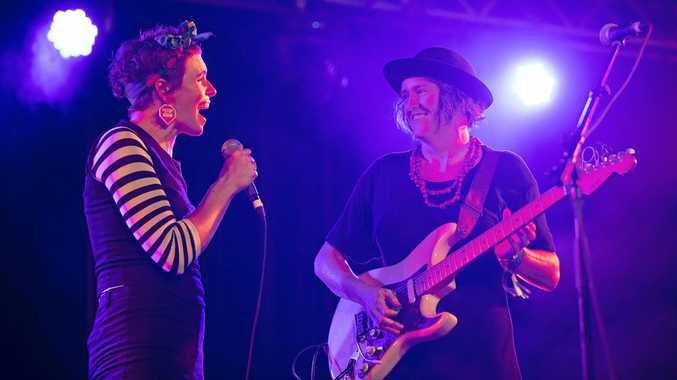 "The location and its proximity to Airlie Beach for spillover accommodation is a proven formula with beach weddings and the venue also hosts an annual music festival." The property is being divested by Brisbane-based businessmen and yachties Ross Perrins and Mark Wilson. Property records show it was purchased in 2012 for $2 million. It was previously put up for sale a couple of years ago with a price tag of $5.99 million but despite strong interest nobody said 'I do' and it failed to sell.